ECOMM CURRENT OPENINGS: Opening for Company Secretary in Bangur Avenue. 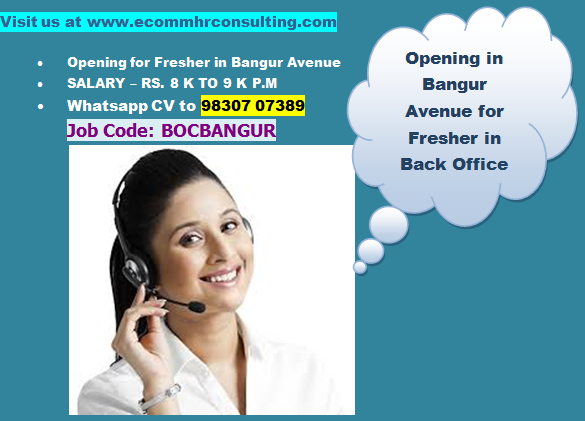 Opening for Company Secretary in Bangur Avenue. SALARY - RS. 15000/- TO RS. 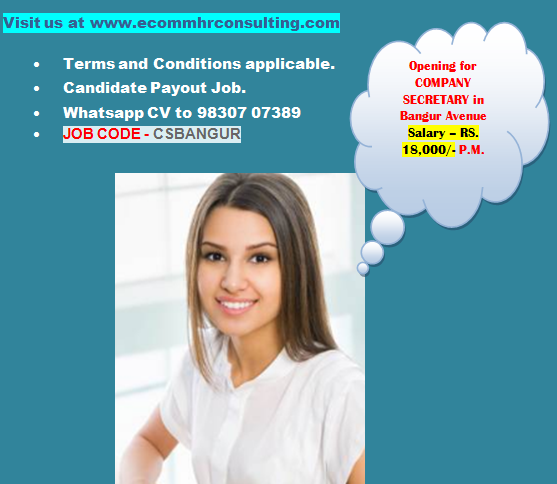 18000/- P.M.
Company Secretary with good academic background. We do not take the Registration or Advance Fees. Tuesday, Wednesday, Thursday, Friday or Saturday.